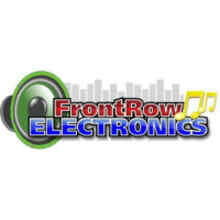 For over 30 years, Front Row Electronics has been dedicated to delivering the highest quality products and world-class customer service. All of our audio products are new and factory fresh, not used, reconditioned or refurbished, which means you can shop with us knowing you'll receive the full manufacturer's warranty. We are an Authorized Dealer of every brand name we carry including Bose, Shure, Beats by Dre, Mackie, Zoom, Yorkville, Arturia, Beyerdynamic, Samson, Westone and much more. With every purchase, you will receive FREE Ground Shipping. We want to make your online audio shopping experience with us something you enjoy doing and make a habit of. This is why we make it our mission to seek out the most appealing, cutting edge products for your entertainment and business needs. We ship free Ground Shipping, with the exception of promotional items that have free expedited shipping available. We do not ship internationally. Any orders shipping to Hawaii, Alaska, Puerto Rico, and Guam will ship USPS Priority mail (regardless of any shipping promotions). We proudly support our troops and ship to APO, FPO, and DPO address via USPS Priority mail.